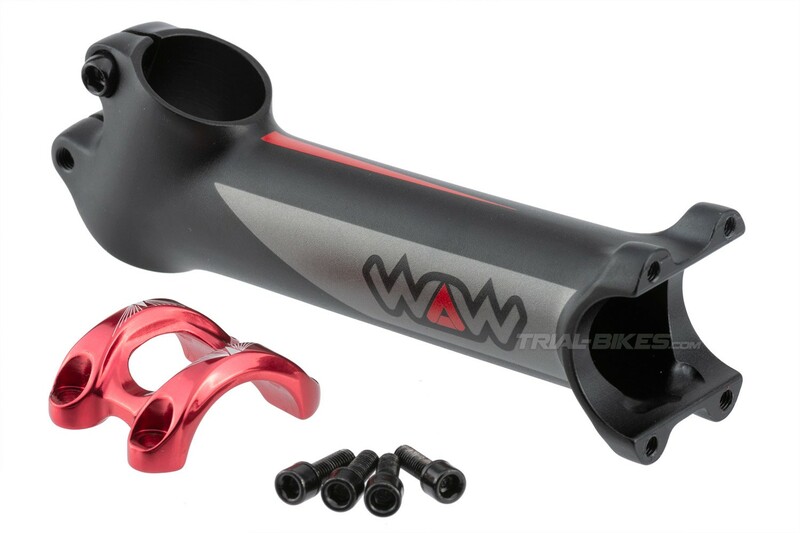 New Crewkerz WAW bike trials stem, completely forged and available in two different sizes with a simple, reliable, functional design. 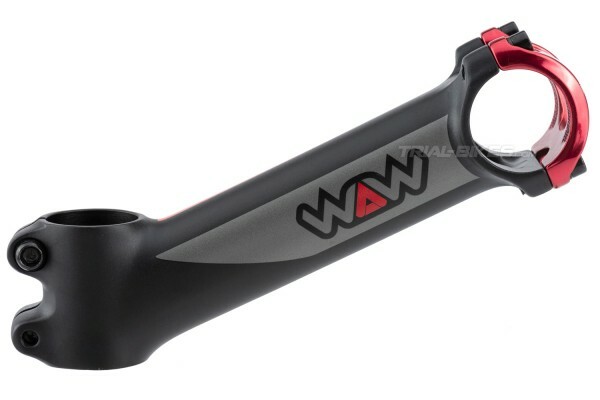 - Crewkerz WAW flat stem for bike trials. 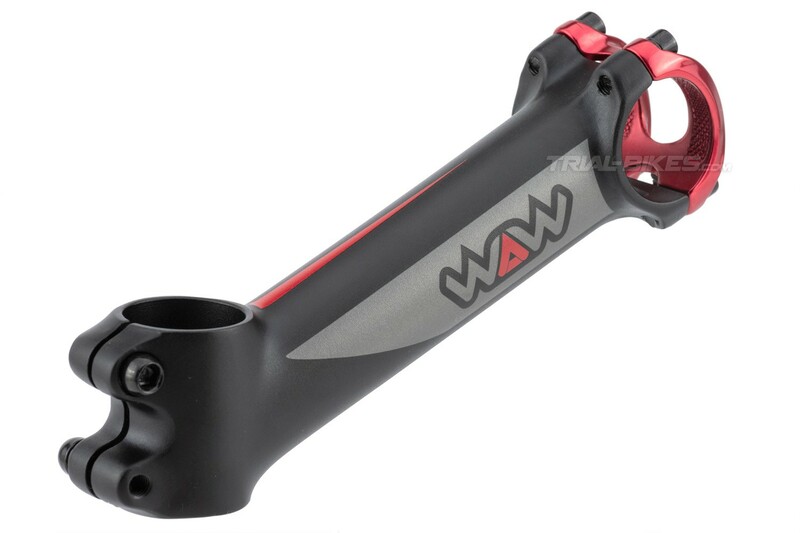 - The stem body is forged in one piece, without welds, which increases strength, stiffness and overall reliability. - The front clamp is also made in one piece and uses 4 bolts, for even and dependable clamping. - Compatible with any Ø31.8mm Oversized handlebars (most trials handlebars). - Flat steerer clamp, with each bolt orientated one way for uniform tightening. - Supplied with all 6 steel bolts, 2x M6x20mm + 4x M5x17mm (145mm version) and 6x M6x20mm (150mm version). · 145mm long and 25º rise (145mm x 25º). · 150mm long and 35º rise (150mm x 35º). - Steerer clamp height: 45mm (145mm), 50mm (150mm). - Anodized black body with red and grey Crewkerz WAW graphics. - Anodized red bar clamp.